Jack Gladney teaches Hitler studies at a liberal arts college in Middle America where his colleagues include New York expatriates who want to immerse themselves in "American magic and dread." Jack and his fourth wife, Babette, bound by their love, fear of death, and four ultramodern offspring, navigate the usual rocky passages of family life to the background babble of brand-name consumerism. Then a lethal black chemical cloud floats over their lives, an "airborne toxic event" unleashed by an industrial accident. The menacing cloud is a more urgent and visible version of the "white noise" engulfing the Gladney family--radio transmissions, sirens, microwaves, ultrasonic appliances, and TV murmerings--pulsing with life, yet heralding the danger of death. Don DeLillo has written sixteen novels, including White Noise, which won the National Book Award. It was followed by Libra, his bestselling novel about the assassination of President Kennedy; Mao II, which won the Pen/Faulkner Award for Fiction; and the bestselling Underworld, which in 2000 won the Howells Medal of the American Academy of Arts and Letters. In 1999, DeLillo was awarded the Jerusalem Prize, given to a writer whose work expresses the theme of freedom of the individual in society. 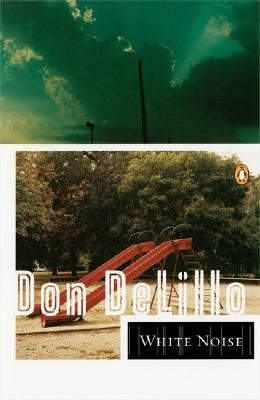 In 2010 DeLillo became the third author to receive the PEN/Saul Bellow Award for Achievement in American Fiction. He was awarded the Library of Congress Prize for American Fiction in 2013, and the National Book Foundation's Medal for Distinguished Contribution to American Letters in 2015.